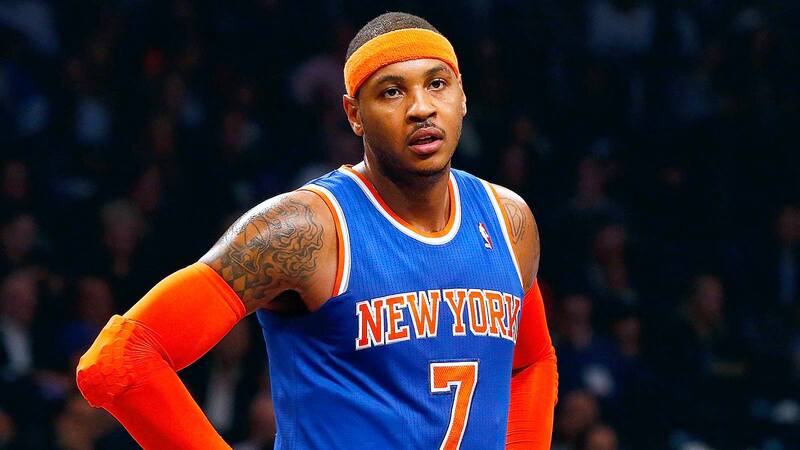 Should The Knicks Consider A Sign And Trade With The Bulls For Carmelo Anthony? Free Agency is just one day away, beginning on July 1, 2014. There are two hot scenarios bubbling in New York City. Will Carmelo Anthony stay?, or will he bolt in free agency? What about a third option, a trade? Now this would all be contingent on Melo’s willingness to agree to a sign and trade, as this could not be conducted without his blessing. For weeks it has been reported the Chicago Bulls are #1 on Carmelo Anthony’s list of suitors if he were to bolt in free agency. Assuming Anthony is seeking a max contract with any of the 29 teams not named the New York Knicks, his cap hit will be around 19-20 million dollars for 2014-15 season. It has been widely accepted that Bulls owner Jerry Reinsdorf is not willing to amnesty Forward Carlos Boozer, whose tenure in Chicago has been mostly disappointing. This move would free up a lot of space to sign Carmelo Anthony outright. In a trade scenario, to match contracts, the Knicks would most certainly have to take back Boozers 16.8 million dollar contract. (Wow the Summer of 2010 free agency produced a lot of bad contracts) The contract however does come off the books next year. The Bulls could package Boozer, G-F Jimmy Butler and a future draft pick or two to the Knicks in exchange for Melo. With Boozers expiring contract, some future talent, and a nice young player (and cap friendly contract) in Jimmy Butler, a trade could be enticing as opposed to losing Melo for nothing. Further reinforced by the Tyson Chandler deal to Dallas, it seems Phil Jackson is ready for building the team for the future with or without Carmelo Anthony. This sign and trade idea is not based on any present rumor but it should at least be in consideration. Crazier things have happened in the NBA.